We made this image in Paint and thought we were being so creative at the time. Great Lakes is a fitting moniker for the Cleveland craft brewery. The Great Lakes form the largest group of freshwater lakes on earth, and Great Lakes Brewing Co. (GLBC) has aims to become one of the world’s largest makers of freshly crafted beer in the United States and beyond. GLBC is ranked No. 19 on the Brewers Association list of the top 50 biggest craft breweries in the United States (based on beer sales volume). Now, Ohio’s first craft brewery has its focus on neighboring Pennsylvania. GLBC just announced its plan to expand distribution into the South Central Pennsylvania market via a two-phase launch. 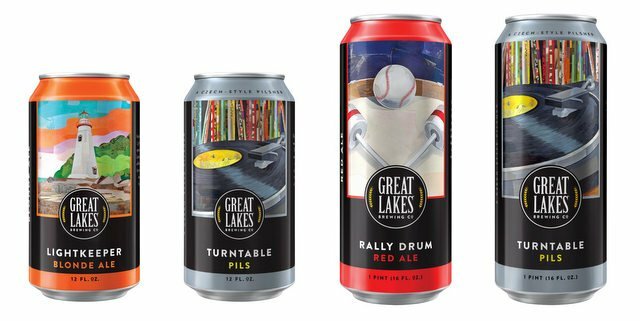 On June 17, GLBC will extend distribution into Harrisburg with Wilsbach Distributing, and on June 24 GLBC will extend distribution into Gettysburg with Ace Distributing. GLBC’s products are currently available in Western, Eastern and Central Pennsylvania. The new South Central Pennsylvania territory will serve the company’s strategic growth plans by filling in gaps throughout the southern part of the state. Customers can expect to see GLBC’s year-round family of beers in package and draft, as well as GLBC’s “Taster’s Pack” (a sampler 12-pack). The new market rollout will involve multiple customer appreciation events, meet-and-greets, tastings and giveaways throughout the area; we’ll keep you posted. GLBC currently serves 13 states and Washington, D.C.